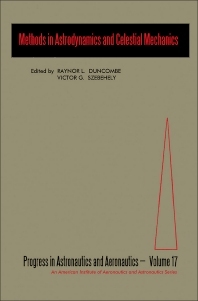 Methods in Astrodynamics and Celestial Mechanics is a collection of technical papers presented at the Astrodynamics Specialist Conference held in Monterey, California, on September 16-17, 1965, under the auspices of the American Institute of Aeronautics and Astronautics and Institute of Navigation. The conference provided a forum for tackling some of the most interesting applications of the methods of celestial mechanics to problems of space engineering. .This book will be useful to practitioners in the fields of aeronautics, astronautics, and astrophysics.